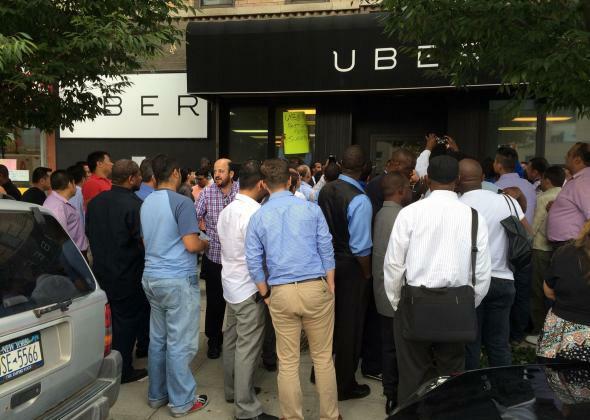 Uber drivers strike: They protested cheap UberX fares. Uber backed down. Drivers gather outside Uber’s office to protest recent policy changes. Uber is famously unafraid of clashing with government regulators. But it might just be terrified of taking on its own drivers. While Uber has brashly forged ahead with its ride-sharing service in the face of stiff opposition from German authorities (not to mention other protests across Europe), the company on Friday abruptly backed down from recent policy changes that had stirred protests and strikes among as many as 1,000 drivers in New York City. Uber infuriated workers on Labor Day when it said that drivers of its higher-end “Black” and “SUV” services would be sent UberX and UberXL fares as well. “Starting now, all BLACK and SUV partners will automatically receive uberX / uberXL requests,” the company wrote in an email on Sept. 1. Some drivers chose to decline those requests; over the next two weeks, they were told by Uber that declining too many rides could risk deactivating their accounts. 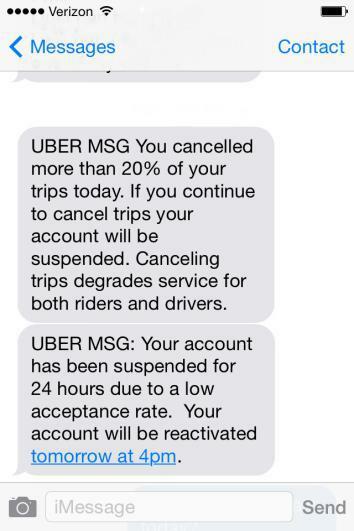 Late on Friday morning, Uber abruptly backtracked. “Effective immediately, UberBLACK and UberSUV partners can choose when and where to receive UberX requests,” the company wrote in an email blast sent to drivers. 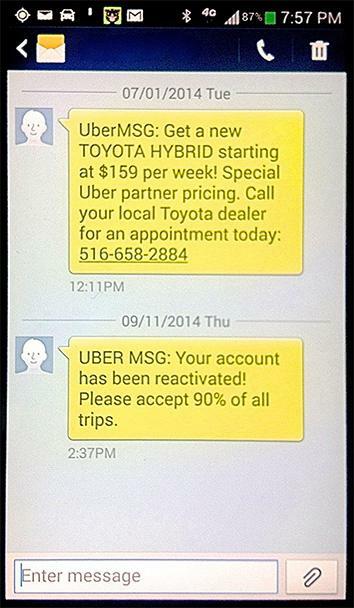 Further down in the message, it showed an option on the Uber app that allows drivers to switch between accepting UberX rides and limiting requests to only Black and SUV customers. When asked for comment, Uber pointed to that email. Drivers say Uber’s brief decision to make them accept UberX fares was the latest in a string of shifts that have made working for the company steadily less profitable. Over the summer, Uber slashed fares on UberX by 20 percent to make it “cheaper than a New York City taxi.” At the same time, it has increased the share it takes from drivers. Uber now collects 20 percent of UberX fares (up from 10 percent), 25 percent on Uber Black fares (up from 20 percent), and the same 28 percent on Uber SUV fares. Protests against Uber over wages have already broken out in other parts of the country. On Sept. 2, around 50 Los Angeles–based Uber drivers gathered in a North Hollywood parking lot to rail against recent fare cuts. Earlier this week, 200 drivers assembled outside Uber’s office in Santa Monica to further protest the pay cuts and their treatment by the company. Uber has also been hit with several class actions over its practice of including tips in the commission it collects from drivers. By conceding to drivers on the UberX policy—admittedly a rare step for Uber to take—the company is likely preventing days of bad press and protests that could draw consumers attention to the unrest and accusations of bad labor practices.